A new study was just published establishing the link between post concussive syndrome and vertical heterophoria. In this retrospective study there was shown to be an 80% reduction in symptoms using the Feinberg method of prismatic correction. The Neuro Visual Center is the only practice in New York using the proven Feinberg method. Primary objective: To examine the effectiveness of neutralizing prismatic lenses for reduction of headache, dizziness and anxiety in patients with persistent post-concussive symptoms and vertical heterophoria (VH). Background: Approximately 5–10% of patients with traumatic brain injury (TBI) develop persis- tent post-concussive symptoms. Many rehabilitation/treatment modalities are tried, but are largely unsuccessful, indicating a need for more effective treatment. Design and method: This retrospective study included 38 patients with persistent post-con- cussive symptoms, who were diagnosed by an optometric binocular vision sub-specialist with VH (a sub-set of binocular vision dysfunction [BVD] that manifests as vertical eye and image misalignment). Data was collected both before and after prism application and included validated survey instruments for headache, dizziness, anxiety and BVD symptom burden; subjective rating (0–10 scale) of headache, dizziness and anxiety severity; and a sub-analysis of the BVD survey instrument questions that pertain specifically to headache, dizziness and anxiety. Upon conclusion of treatment, subjective assessment of overall improvement of heterophoria symptoms was obtained utilizing a 10 cm visual analogue scale. Outcomes: Results demonstrated marked reduction in all measures of headache, dizziness and anxiety (19.1–60.8%) and an overall subjective improvement of VH symptoms of 80.2%. Conclusions: Neutralizing prismatic lenses are an effective treatment of headache, dizziness and anxiety in patients with persistent post-concussive symptoms and VH. I was throne from a horse over three years ago and received a concussion leaving me with the condition described in the article. 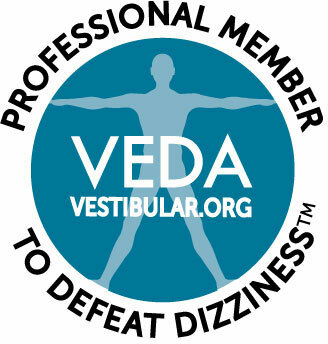 when walking I experience dizziness /lightheadedness, feeling like I am falling forward. When setting still I am fine. Would the Prism Glasses help me ? Yes they may help. Please visit our website https://www.nvcofny.com so we can accurately score your symptoms. This will help us determine if you are a good candidate for care.